The Dolder Grand (formerly known as Grand Hotel Dolder) is a 5 star superior hotel in Zürich. Built in 1899, the hotel is located on Adlisberg hill, spreading out over 40’000 m². The hotel offers 173 rooms and suites, two restaurants, a bar, 13 conference rooms and a 4’000 m² Spa. The hotel is connected to central Zurich by road, and by the Dolderbahn rack railway, which has its upper terminus next to the hotel complex. The Hotel was closed from 2004-2008 for an extensive renovation which cost about 440 Mio swiss francs according to the owner himself. Famous architect Norman Foster was leading the project. The rooms are all very modern with top notch features, a great view of the city, the golf course, lake of zurich and the alps. The marble bathrooms are generously sized and feature towel and bathroob heating facilites which I found kind of fancy and liked it very much. The state-of-the-art spa is a huge and holistic venue, probably one of the biggest hotel spa’s that I have ever seen. There is everything you might be looking for including a very quiet and nice meditation room. The hotel restaurants are excellent, garden restaurant is famous for sunday brunch and “THE RESTAURANT” just got his 2nd Michelin star. Definately the hotel in Zurich with the most magnificent view. If you have time and not need to stay downtown the Dolder Grand Hotel is “the” place to stay. I can only highly recommend it to all sofisticated travelers outhere. 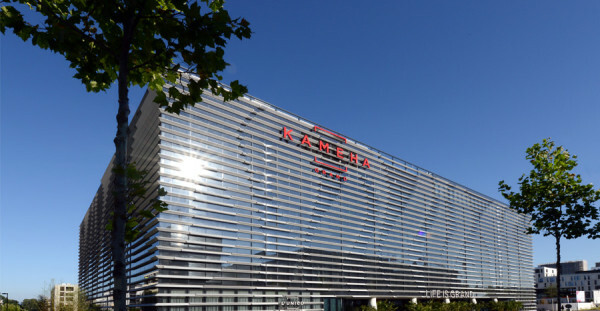 The Kameha Grand hotel is unique in style, has an impressive architecture and a extraordinary design. All is designed by Marcel Wanders and very unconventional but with plenty elements that remind you where you are, Switzerland and Zurich. There are a few themed suites, such as the Diva Suite, James Bond Suite and a Fitness Suite among others. Lots of very high tech design and features. Oversized large bathrooms. The Hotel features a bar, where hundreds of gold coins are refering to the name: Puregold Bar. There is a shisha and a smokers lounge. The restaurant L’Unico features daily fresh pasta and a large sunday brunch. Restaurant Yu Nijo with chef Normal Fisher mixes french cuisine and asian dishes and was just rewarded with a michelin star. A gym room and a spa are available with a very stylish lounge to relax. All over the hotel you will find IPAD’s ready to leave your message to the managment right on the spot. You can rate and comment directly. The hotel staff is very helpful and friendly and ready to help in any way they can. 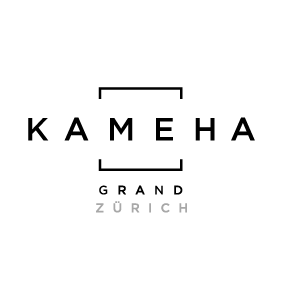 If you are looking for a luxury hotel which is extraordinary and varies a lot from most big or chain hotels the Kameha Grand is the place to stay. Their motto is “Life is Grand” and you can really feel it when you stay there.